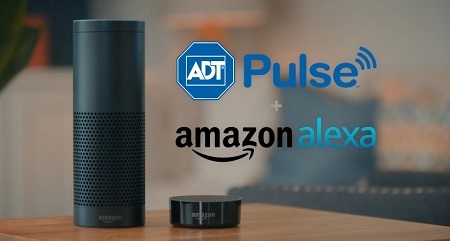 Connect the Google Assistant with the ADT Pulse app and you’ll have even more control over your connected home devices and security system – using just your voice. Ask your Google Assistant to arm your system, adjust your thermostat and control your lights. Best of all, setup is easy. 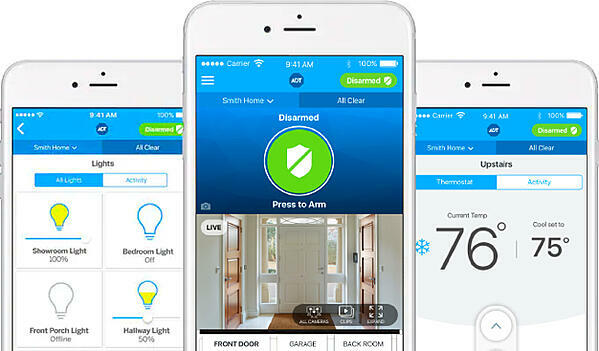 At this time, you can arm your system, lock your doors and control your ADT lights and thermostats. You can Ask Google Assistant to arm your system, ask if you left the hall light on, lock your doors when you come home, ask what the current temperature is in your home, or even to dim the bedroom lights. 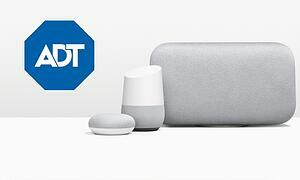 ADT and Google are working hard to continue to add actions into Google home so you can control even more of your ADT Pulse features with your Google Home Device. Here are some example commands you can use to control your ADT connected home. What is the temperature of the thermostat? You will need to have ADT Pulse monitoring service to be able to use voice commands to control your security system and home automation devices. An ADT Pulse security system also gives you the ability to add security cameras with live remote viewing and recorded video clips of events. Get a quote for a system to meet all of your needs and protect your home and family.